Ok, sooooo... I wanted to make a glitter headband. 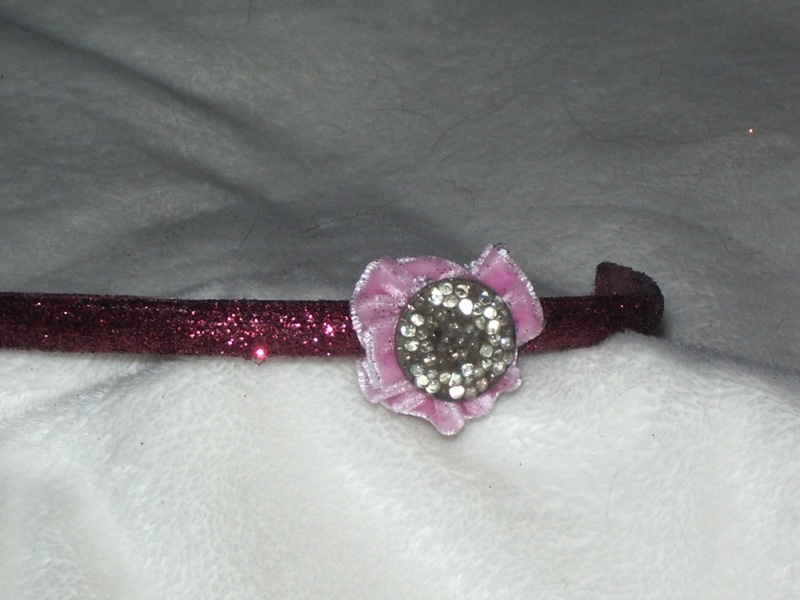 You only need 3 things for the basic head band and if you want to add the flower, then you will need 8 things. I am going to show you the basic headband. 1. 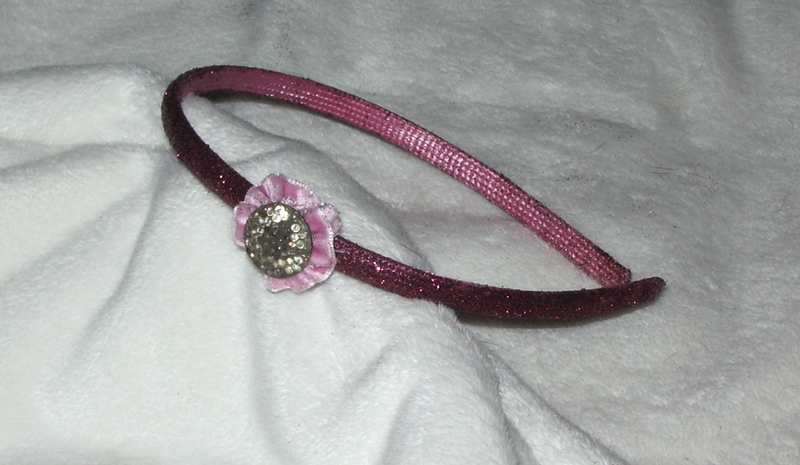 A cloth headband any color. 2. 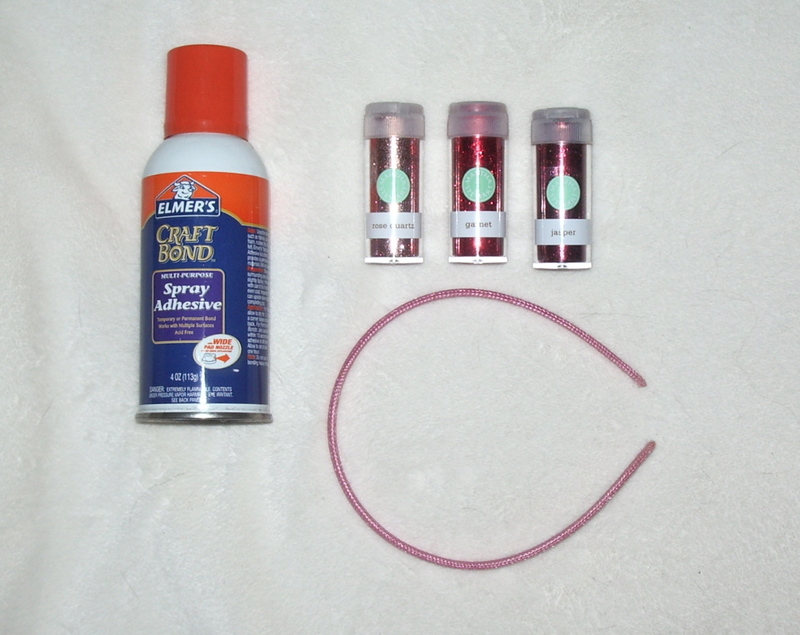 Craft Bond Spray adhesive. I sprayed the adhesive in 3 inch sections and sprinkled the glitter on. 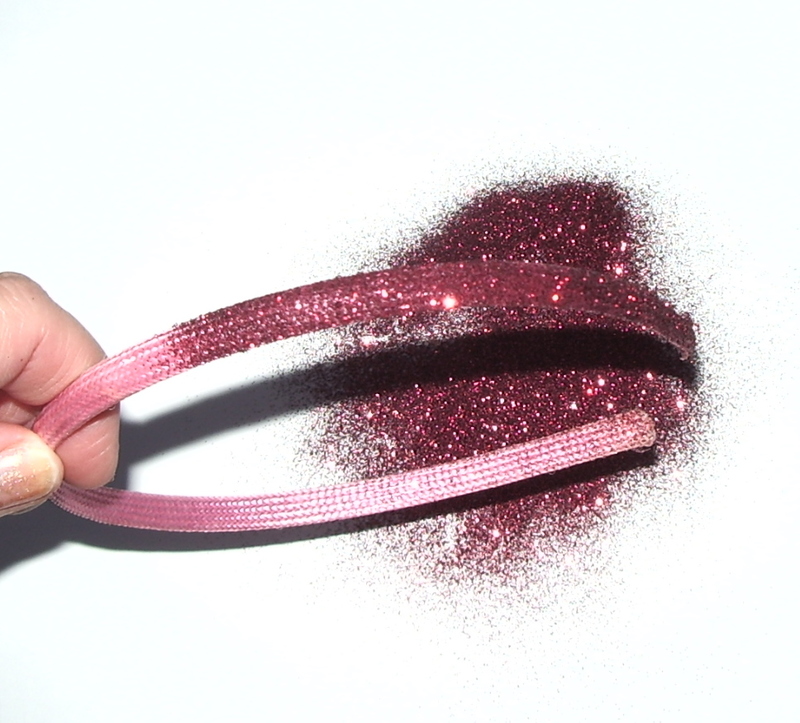 Then I lightly sprayed the headband all over and gently rolled the headband into the glitter to cover every spot. I made a velvet ribbon flower and added an antique button with hot glue. 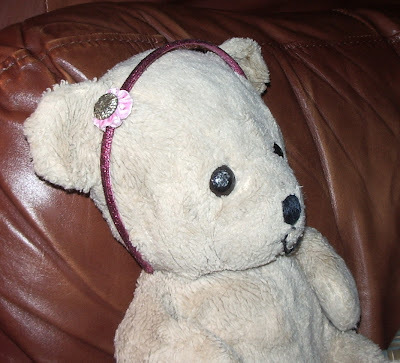 The link for the velvet ribbon is here. 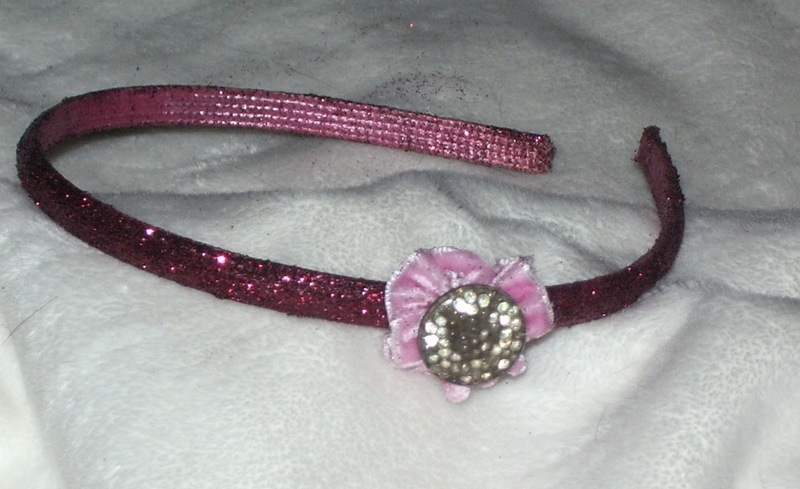 Super easy , quick and inexpensive, which is what I like and they would make great gifts for any girl or bear;). Pooky was nice enough to pose for me.